This Friday there is another Free Friday coupon available to redeem! Get your coupons ready! 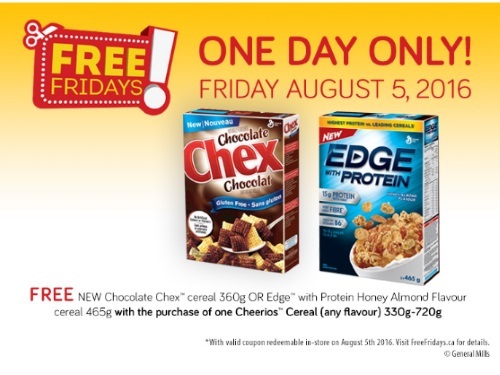 Get a Free Chocolate Chex or Edge with Protein Honey Almond cereal with the purchase of a Cheerios cereal! This coupon is valid this Friday, August 5, 2016 only. Where are you going to redeem yours? Let us know on our Facebook Page.